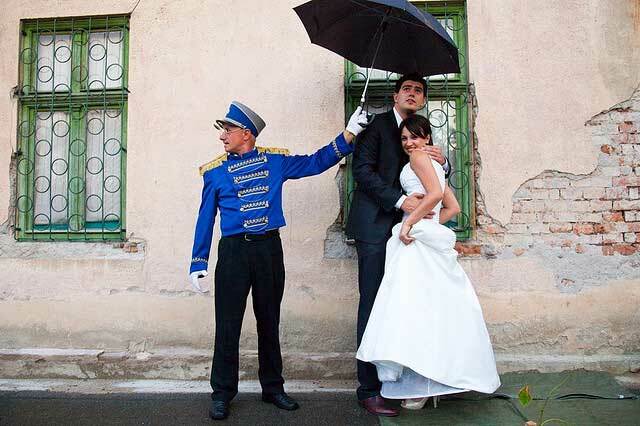 With traditions ever changing and evolving, we’ve got together some of the most fabulous, and wacky, wedding traditions from across the globe! Milk? Pillow cases? Sugar cubes? Keep reading to find out what it all means! Can you guess which country each bizarre tradition originated from? See the list at the bottom of this post for the answers! You just spent £2,000 on that lovely gown, and now you’re jumping into the sea with it? So much for nostalgia! It’s supposed to “sweeten” your union. Uh huh. But what if you don’t wear gloves? And what if your hands get sweaty in your gloves and then the sugar melts everywhere? And what if all you can think of all night is eating the sugar cube that’s in your glove? You get our point. 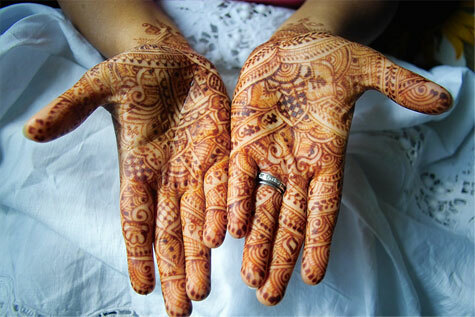 Well, this might seem bizarre if you’re donning a big white wedding dress instead of a bright-hued sari, but we can get behind this beautiful tradition, which is said to ward off evil spirits. Paint away! Apparently, this helps you in your future financial department. We’ve been doing it ever since we read about it. Has it worked? Not so much! :) But if you’re good with walking around in shoes with coins in them all night—you know, just in case—go for it! Green peas. White dress. Something’s wrong with that image. Ouch! Pretty sure the day is nerve-wrecking enough as it is without a bunch of women coming up and pinching you all day long. We’ll take hugs, though, lots and lots of hugs. That’s kind of like a full-body pinch, right? Not if you didn’t rent the tent that your mum told you to, but you ignored her, and now it’s raining and your outdoor wedding has nowhere to go and your high heels are sliding into the grass and…ugh! But we’ll take a brief rain shower in the morning if it really matters. We’d like to see someone try this…and be there to take photos of peoples’ faces. While the original intention may have been something else, milk baths are actually fantastic for your moisturising your skin. Cleopatra was known for taking them! And the answers are…drumroll please…ta da! Have a burning question about your wedding? We want to know! Post it here or on our Facebook page and we’ll get back to you in a jiffy! Like our Facebook page.